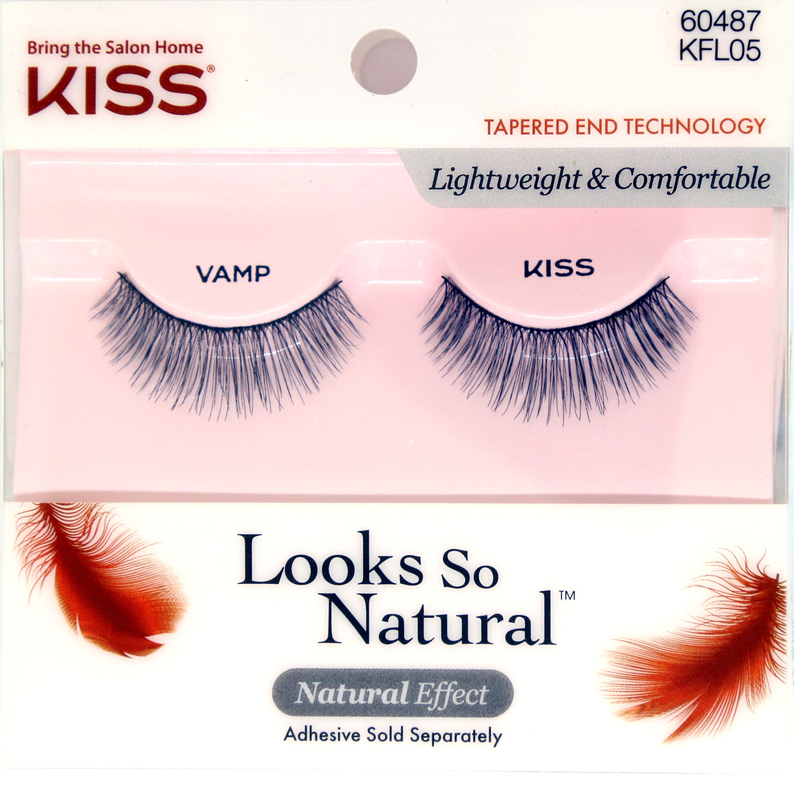 Please note KISS Looks So Natural Lashes - Sultry (KFL04) is currently out of stock; Item will be available again shortly. 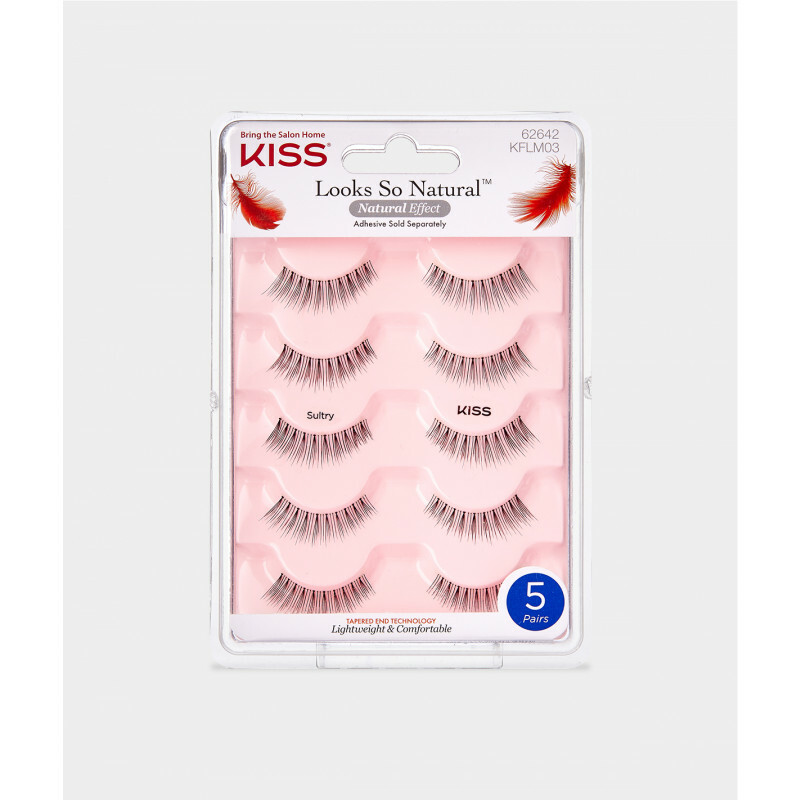 Try the same style in double pack KISS Looks So Natural Lashes Double Pack - Sultry or try comparable style in Ardell Natural Eyelashes Babies or Andrea ModLash #53. 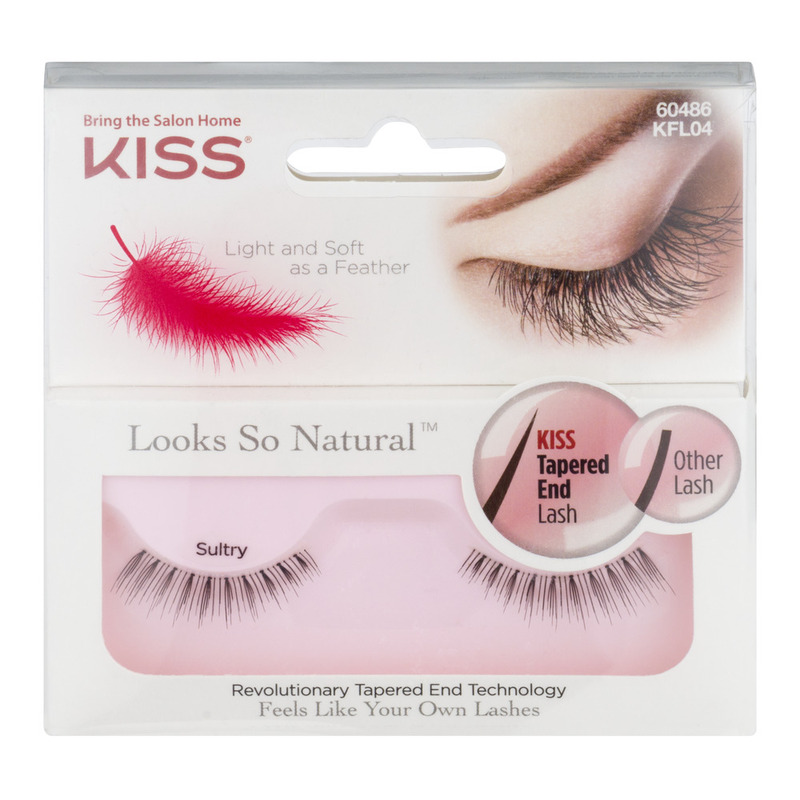 KISS Looks So Natural Sultry Lashes is made with a revolutionary technology that creates tapered ends. 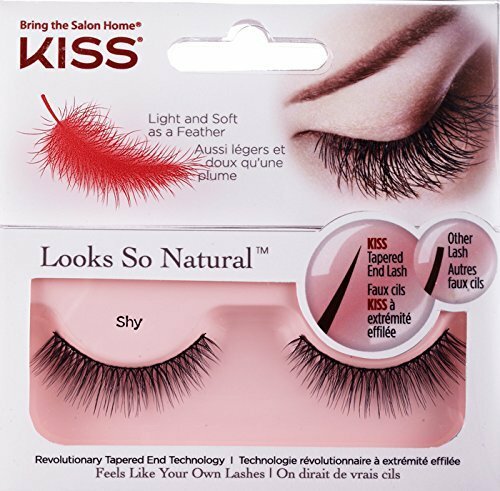 Kiss's Sultry lashes blend seamlessly with natural lashes. Significantly lighter in weight than traditional lashes, the wearer can barely feel them on. These feathery, soft lashes are available in various styles, from natural to dramatic looks. I ordered them the 8th and got it the 10th i also chosed the shipping that cost $3.95...i will be buying from this site again!!! I do recommend this site ! !great quality i also recommend the eyelash curler from andrea!! God bless!! These lashes look the most natural! My absolute all time favorites. I really liked these lashes. So easy to apply and looked like my very own lashes. I used another brand of glue and they Worked perfectly. 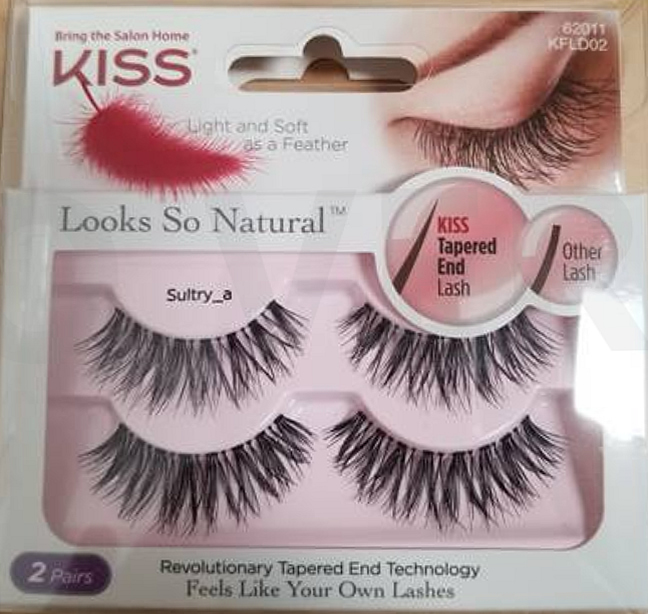 I got these Kiss Look So Natural lashes from a friend, and I will say they were amazing! Made my lashes looked so natural and were so easy to apply. Love these ! I usually buy more then 1 of these because they are not toot hick or extremely long and fake looking. They are just perfect!